Well it's Friday, and we hope you have plans to head out on the open road over the next two days. In the meantime, here are some of our favorite auto snippets from around the web to get you through. 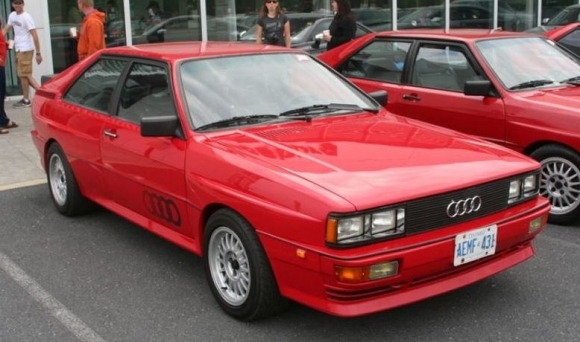 BaT of the Week is a 1984 Audi Quattro. Yes, we saw the 1972 246 GT with only 65k, and the immaculate Lincoln, but those are fan favorites and no-brainers. We like the sleepers. The cars that go about fairly unnoticed and unappreciated by most. Although, unlike our friends at Bring-a-Trailer, we'd have no problem getting this bad boy sideways the first chance we got. 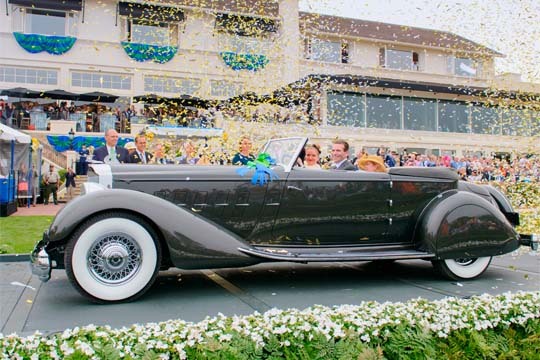 The Pebble Beach Concours d'Elegance was last weekend and just like everyone else we were enthralled and utterly obsessed. We realize that now. So we promise this is the last time we'll mention it (until next year that is). Here is the Best in Show from this year's event, a 1934 Packard 1108 Twelve Dietrich Convertible Victoria. See prior year winners here. Jay Leno spends some time in his garage with Magnus Walker, and asks "is this a factory mirror?" C'mon Jay, this is Magnus we're talking about. Still, we were surprised to see how much this car sold for, given all the "non-factory" touches, but then again that's what makes this Porsche one-of-a-kind. What do you think of the BMW 3 Series Commercial? We like the nostalgia of showing the E36, but why not start with the E21 or E30? Did you know Hagerty has a magazine? Even if you do not have your classic insured through them, it's a good read and worth the $8 bucks a year. Recently they did a story on cars of the Malaise era (1973-85). 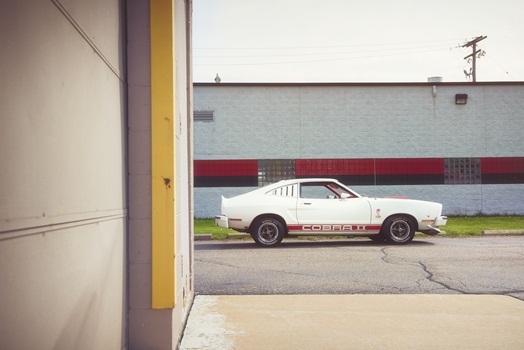 Check out this photo shoot sneak peek which features a Chevy Citation, AMC Pacer and this uncharacteristically appealing Mustang II.